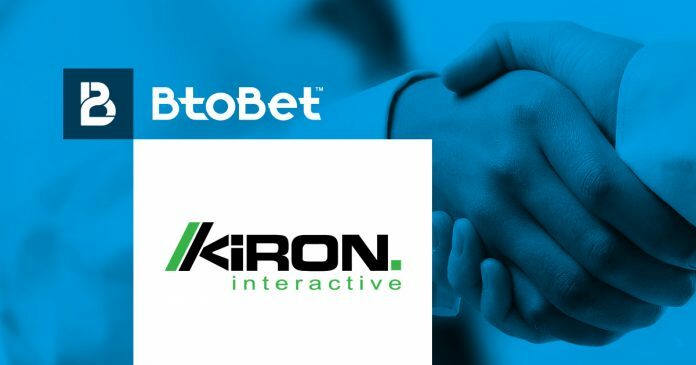 BtoBet has signed an agreement with the virtual games supplier Kiron Interactive, providing licensees with content and technology to appeal a wider range of players. Kiron Interactive is a premier brand in the virtual gaming environment, with more than 16 years of experience. The deal will see Kiron ‘s full 20 Virtual Sports and number games portfolio available to the sports betting, casino and lottery businesses. BtoBet’s Integration Manager, Maja Janevska, added: “Our advanced and flexible platforms – Neuron Games and Neuron Sports – based on Artificial intelligence, combined with Kiron Interactive’s Virtual Sports and games, will provide operators the possibility to elaborate unique offers, tailored for every single regulated market.